In WWII, Women’s Auxiliary Service Pilot Rachel Prentiss finds herself in increasing danger: to her life by what killed her friend, Lt. Gracie Abbott, and to her heart, by her superior officer, Captain Jack Lassiter. In another life, Captain Jack Lassiter would have turned Rachel Prentiss’s head, but she lost everything at Pearl Harbor and now happiness is not hers to have. 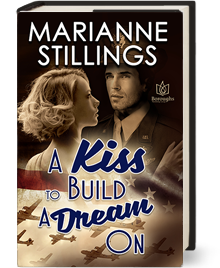 Handsome, brave, cocky, Jack will oversee her Women’s Auxiliary Service Pilot squadron’s movement of combat aircraft to strategic locations across the continental United States...and threaten her vow to protect her heart. As the new WASP training officer at Camp Trask, North Carolina, Jack knows he’ll have his hands full. Especially with that high-flying blonde, Lieutenant Rachel Prentiss. The pull is undeniable, but things must stay professional, especially since this job has become almost as perilous as combat duty. It’s wartime, after all, and everyone has secrets—some more terrible than others, especially considering the strange recent death of Lieutenant Gracie Abbott. Yet with the world ablaze, everyone burns. Rachel and Jack will succumb to their attraction. And that first kiss is a bombshell. It will destroy all Rachel’s best defenses...and is strong enough to build a dream on.